2017 marks the 19th year of Cheeseburger in Caseville. This is now a premier event with the Thumb of Michigan as the festival 2013 winner of the “Peoples Choice” Award selected by the MFEA Convention. If you looking for the inside information on the Best of Cheeseburger then you have stumbled upon internet pay dirt. Just don’t tell anybody! Thumbwind will offer the inside information on how to make the most out of your day, or the entire week as a parrot head up here at Key North. Keep an eye on this space leading up to the August 14th start. Caseville swells from a village of about 1,200 to a full-fledged throng of folks approaching 50,000 during the “Parade of Fools” occurring mid-week. With these numbers, a little local insight can come in handy. ThumbWind.com will offer reports, advice and guidance on the key events affecting Key North. So bookmark this site as a favorite and visit often. Best of RibStock in Caseville. – If you want to sample local BBQ get to Caseville early. Ribstock and is considered the unofficial kick-off festival of the summer season in Caseville. Top BBQ rib honors are sought by local restaurants and taverns. In 2012 Port Elizabeth’s Grille took honors among the five cook-off participants. Besides ribs, you will find car shows, live country music in the amphitheater, pig races for the kids and craft workshops. This year’s entertainment includes North Country Flyers as the headliner act on Friday. Other bands will be announced as the year progresses. Its a country theme so bring your cowboy hats and boots and stomp the weekend away. If you want to have a chat with our US Senator or Congressman you may have a great opportunity during the Parade of Fools. With over 50,000 people on hand during the mid-week event, it has drawn Michigan Senators Debbie Stabenow and Carl Levin, Michigan Congresswoman Candice Miller and a host of Michigan legislative and local politicians. If you want to have a chat your best opportunity is at the staging area of the parade on the corner of Main and Michigan. Best Gourmet Grocery to Create Your Own CheeseBurger – If your already a summer resident of the greater Thumb Key North area then I’ll bet you already know where to pick up high-quality choice meat for your grill and deli items to round off your table…you go see Rick and Lynn. It’s a given…end of story. We have seen this couple take a former sleepy butcher shop and transform it in the gourmet grocery with the Chutzpah that can match a big city meat market. The staff is friendly (and typically family!) and these folks know what they’re doing. 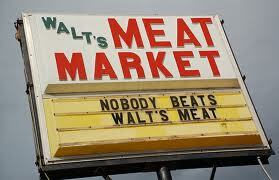 The “Nobody Can Beat Walt’s Meat” sign greets you as you pull in the parking lot just outside of Oak Beach about 7 miles north of Caseville. Sometimes you have to wait to find a space but that’s OK because this is meat nirvana. Standing Rib? Filet Mignon? Please…How about regular chuck hamburger that never, and I mean never! flames up on the grill because it is so lean. Bacon Sausage..OMG!…its so good the Florida snowbirds order it to-go on their way back down I-75. It’s the only place we know north of Imlay city where you can get a hot Panini sandwich to go. The quality is scary good. Rick and Lynn take this business extremely serious and it shows. Because of their uncompromising quality and level of service ThumbWind.com deems Walt’s Meat Market the “Best Gourmet Grocery in the Thumb”. As a side note, listen for Lynn around the noon hour on WLEW for the Walts ad. Lynn did her time in radio in the Grand Rapids area and she has kept her voice in top notch shape. Best Microbrewery – Started in 2014, the Thumb Brewery is tucked in a restored 1800’s historic home in the heart of Caseville. The charm and character of the home spill into an open-air patio providing the perfect place to sit back, relax and enjoy some of life’s simple pleasures. Homebrews include Quinn’s Irish Red Ale, Sebewaing Belgian Blonde Ale, Gateway IPA and the extremely popular and tasty Thumb Brewery Oatmeal Stout. They also have about 2 dozen other craft beers on tap. 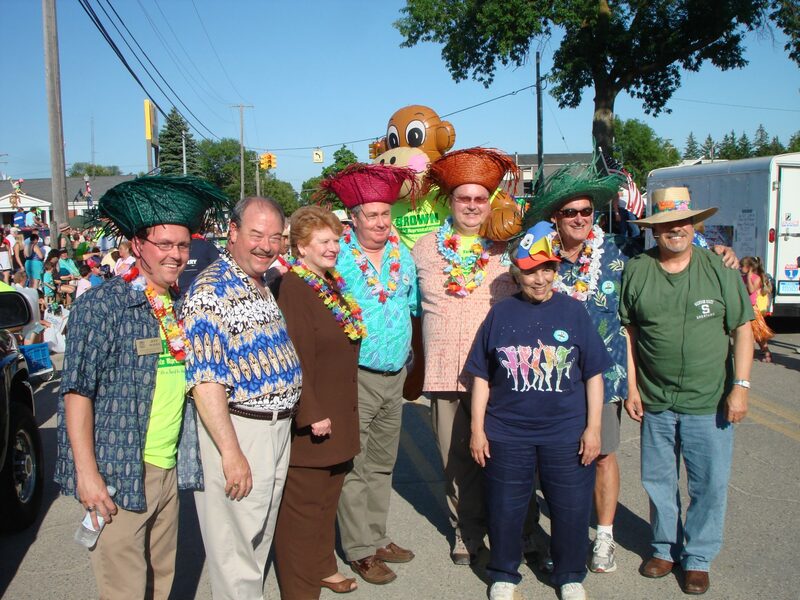 Best Place to Become a Parrot Head in Caseville – If you have ever attended a Jimmy Buffett concert you know that a key ingredient is a proper hat with the required feathers and toys to adorn your Parrot Head. Caseville has an entire workshop devoted to this effort. Find out where. Coming Soon! Best Taste of the Florida Keys in the Upper Thumb – There are many great roadside inns in the Florida Keys. Our personal favorites are Mrs. Mac’s Kitchen in Key Largo, Fish Tales in Marathon and finally the No Name Pub on Big Pine (If you can find it). All of these capture the true local flavor of Old Florida. If you’re in the Upper Thumb exploring our own version of Key North there is one roadside inn that any freshwater conch must check out. In our humble opinion, the Upper Thumb only has one place that can match the atmosphere and great food that you would expect in the Keys, its Captain Morgan’s Grindstone Bar & Grill. Located in Grindstone City, this waterfront inn is only a short drive east from Port Austin. Walking in reveals a view of Grindstone harbor’s charter fishing fleet. Its Friday fish fry is the huge draw and you can literally dock your boat right in front and have your catch prepared for dinner. Captain Morgan’s is pure Michigan but ThumbWind.com considers Captain Morgan’s Grindstone Bar & Grill the Best Taste of the Keys in the Upper Thumb. 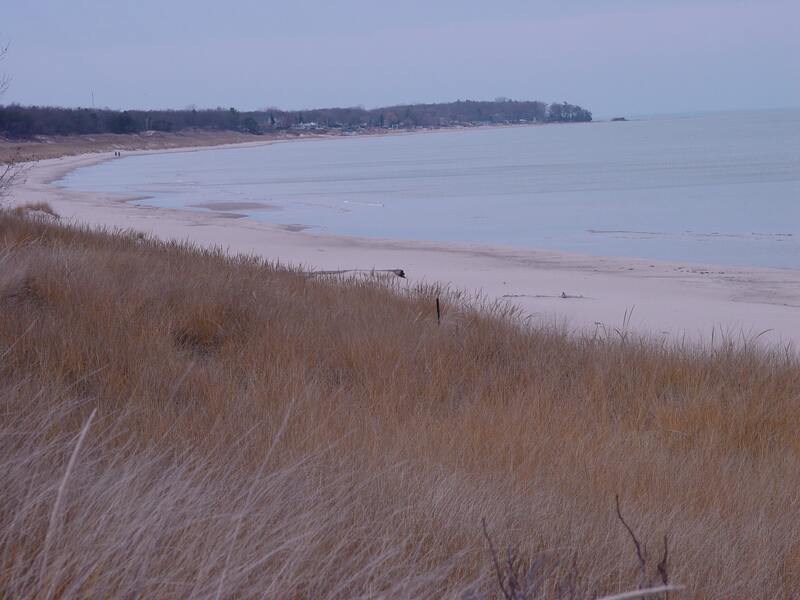 Best Place to Camp Near the Beach – Port Crescent State Park is nestled at the tip of Michigan’s “Thumb” along three miles of sandy shoreline and 565 acres of woods. The park offers hiking, wetlands and the best sand dunes and beaches on the eastern side of the state. Some of the 137 modern campsites offer a beachfront view, either of Lake Huron or the Pinnebog River. Port Crescent recently added a new camper cabin which sleeps six and has a scenic view of Saginaw Bay. It’s a close drive to the Port Austin Farmers Market open each Saturday morning during the season and a short drive west to Walt’s Meats deemed by ThumbWind.com the Best Gourmet Market in the Thumb.